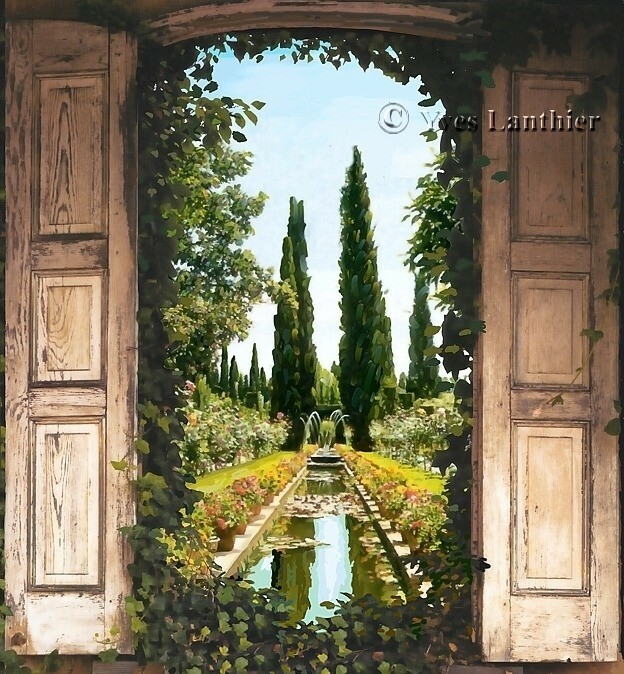 "Trompe L'oeil and Murals Workshops"
In this workshop, you will learn every step how to paint this beautiful "Trompe L'Oeil Doorway Mural". Don't miss this opportunity! This will give you the edge you need to be an accomplish Mural Master. 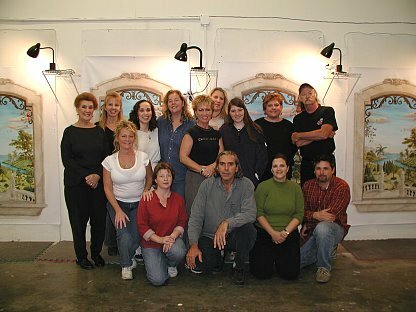 My next workshop will be March 7-11th 2016 in Umatilla, Florida. 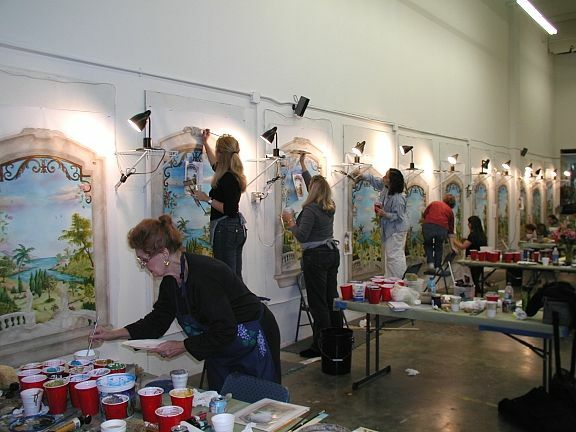 It will be a one full week workshop, we will work with acrylic on a canvas. All material will be provided. See Workshop supply. If you register before February 1, 2016 you can select the option #2: 50% deposit and and #3: Final payment to be paid 30 day's prior the event. To register online and pay for your workshop space, click below. Click here to see General Terms and Conditions. Useful link for Link: "Motel and Taxi close by Umatilla"
I am looking forward to meet you and have great time painting this beautiful mural with you. Click here: for Streaming & Download or DVD's. 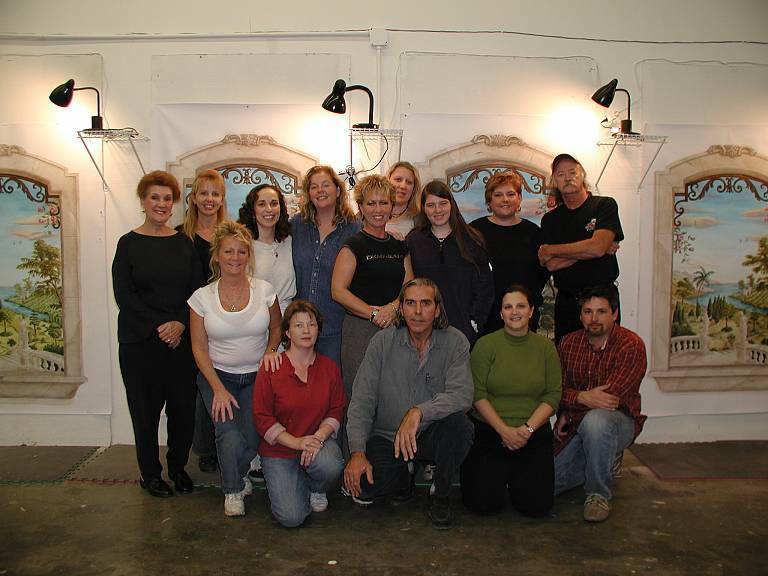 In Yves previous workshop, students have learned every step how to paint this beautiful trompe l'oeil window. Yves personally teach all of his techniques. 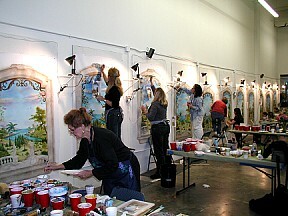 Students where provided with a canvas and where instructed step by step how to paint each element and magically transformed into the finish mural showed on the left. If you missed this opportunity! 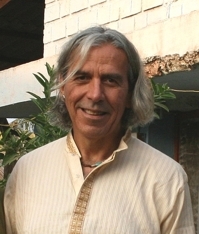 Don't miss Yves new 5 day workshop "Trompe L'Oeil Dorway" coming up 11/02/2015- 11/ 2/ 2015. Make the difference in your career between being just a craftsman or becoming a master in your field.